I woke up this morning craving cake. CAKE. This is nothing unusual for me. Cake for breakfast, lunch, and dinner would be ideal. However, in the real world, that would be frowned upon … but who cares? Cake for breakfast? Absolutely! 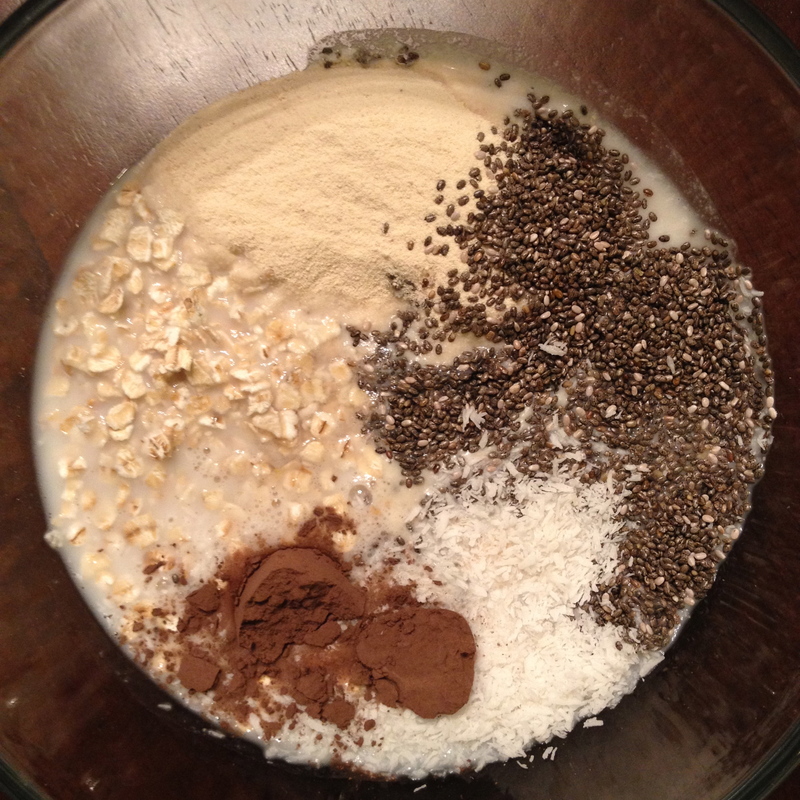 Make it into an oatmeal and no one will even question it. 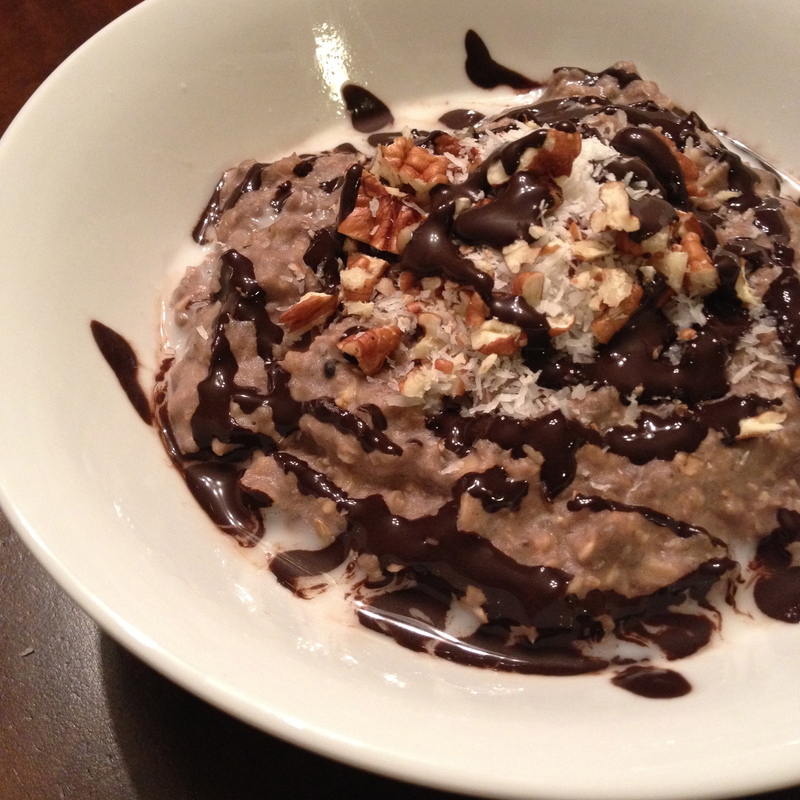 In a medium sized bowl, combine oats, chia seeds, protein powder, cocoa powder, and 2t shredded coconut. Microwave for 1:30 or until desired doneness is reached. 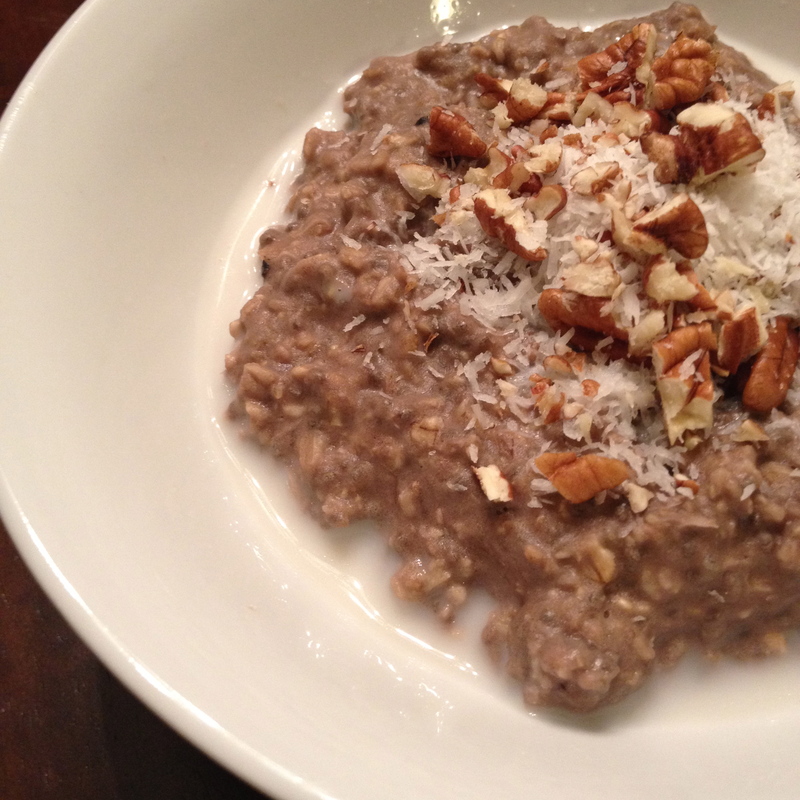 Top with 1t shredded coconut and chopped pecans. Enjoy having your cake and eating it too … for breakfast! This sounds AWESOME! 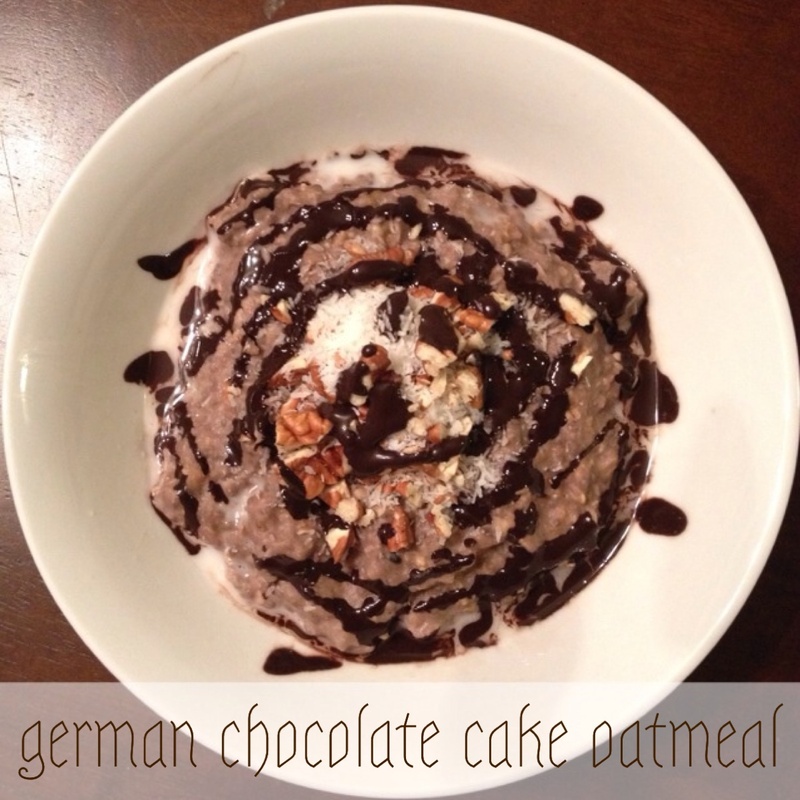 I love the healthy spin on German chocolate cake for breakfast. I just pinned this to my Pinterest board about healthy foods. I can’t wait t make it! let me know how it turns out! 😉 Enjoy!